I wanted to share with you four intentions that are part of lay Buddhist practice to better be connected with others and share our deepest humanity. During the summer we tend to gather and visit friends, families and acquaintances and these intentions always come in handy in small or large groups. Loving kindness is love with no strings attached or any particular agenda, just the pure, innocent wish for others and oneself to be content. Sympathetic joy is experiencing happiness for someone else’s contentment, well being, successes and good fortune. Equanimity is staying calm and centered, no matter what life throws at us; pleasure and pain, success and failure, praise and blame, fame and disrepute. It lets us relate in a deep way with friends, relatives and strangers. For equanimity it is greed, aversion, prejudice. Setting these four intentions sustains our energy and purpose to live in alignment with our best aspirations and wishes for ourselves and others. May it be so! 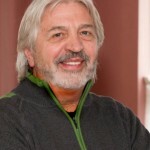 PIERRE ZIMMERMAN IS DIRECTOR OF ONE BIG ROOF AND AN INSTRUCTOR WITH THE SARATOGA STRESS REDUCTION PROGRAM. Everyone is welcome to commit to peace and never again using weapons of mass destruction. Let us come together to create world peace one step at a time. Let us find ways to heal the earth and all beings. We must have no enemies and become the enemy of none. Rain or shine. Please wear weather-appropriate clothes and bring a flashlight and insect repellant. You may also want a blanket. This documentary trilogy will educate viewers, shed light on topics of consciousness exploration and investigate the many theories of the soul’s purpose. Our films cover subjects of consciousness, out of body exploration, paranormal encounters, holistic healing, physics and metaphysics. The Path trilogy will introduce metaphysical concepts to the mainstream audience with hard scientific and experiential evidence from our expert panel. The intention behind the films of Path11 Productions is to continue to challenge people to question their beliefs, to raise the vibrational level of consciousness on a large scale and spread the message to as many people as possible that we are all one, we are consciousness. The DVD series will be targeted to the mainstream American audience in order to educate people to consider alternative practices to achieve optimal health, an opportunity to raise their level of consciousness and to implement new ideas of living in this physical world for an overall higher quality of life. Produced by April Hannah and Directed by Michael Habernig. There will be a film screening of “The Path: Evolution” at Saratoga Arts on Tues July 12th at 7pm. Contact them for more information at 518-584-4132. The word empathy is a translation from the German word Einfuhlung, which refers to “the ability to feel the other from within.” Empathy can be set off by an affective perception of feeling for a person with whom we enter into resonance or by cognitive imagination evoked by the other person’s experience. Emotional resonance usually precedes cognitive resonance and depends on the intensity of our emotions as to whether we can really respond or become reactive instead. True empathic concern consists of becoming aware of another’s needs and then feeling a sincere desire to come to his or her aid. It doesn’t involve pity, which is egocentric or condescending, or for that matter emotional contagion, which results in distress or empathy fatigue because we confuse our feelings with that of the other. Compassion is the capacity to use our heart to relieve the suffering of another and all the possibilities to accomplish this. It includes the realization that ignorance is the fundamental cause of suffering and gives rise to an array of mental obscurations, lack of love, meaning, confidence and absence of a clear compass. Motivation for taking actions for release of suffering counts more than their outcome or results. Compassion doesn’t exclude anything possible to prevent the other from continuing to harm or break the circle of hatred. Altruism is the motivational state that has the ultimate goal of increasing another’s welfare. It is a willingness to lead a life devoted to the well being of others without the need of ulterior motive. Valuing others and being concerned about their situation are essential. Buddhism defines it as the wish that all beings find happiness and the causes of happiness. In this context, happiness is not just a temporary state of well being, but a way of being that includes, wisdom, inner freedom and strength, as well as an accurate view of reality. Altruistic love and compassion add joy when perceiving the happiness and good qualities of others as well as impartiality. Rejoicing means that we don’t want others’ qualities and happiness to diminish, but instead to increase and persist. This serves as an antidote to competitiveness, jealousy and envy and is a remedy for depression or despairing views. Impartiality or equanimity doesn’t depend either on our personal attachments or the way others behave towards us. 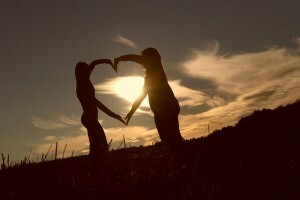 Altruistic love requires courage; fear and insecurity are major obstacles to altruism. We need to develop an inner strength that makes us confident in our inner resources, which help us face the constantly changing circumstances of our lives. FLYER attached below for download. Special Offer: Pressed for time? Try this Lunchtime* Life Line: 1/2-hour Reiki sessions with Janet Orzano for $45. 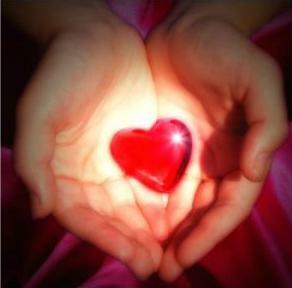 You will go directly to the Reiki table and choose to receive Reiki on the front or back of your body. Reiki comes from the Japanese word (Rei) which means “Universal Life” and (Ki) which means “Energy”. And a Reiki session can help ease tension and stress and support the body to facilitate an environment for healing on all levels – physical, mental, and emotional. A great way to recharge for office or family! (*This special is available anytime of day, not just at lunchtime!) Contact Janet today at 581-3180 ext 313. February usually reminds us of cold days and nights, school vacations to warm far away places for some, stuffy noses and red cheeks for those who stay here, and Valentine’s Day celebrations with roses and delicious chocolate. This winter season so far has missed the mark for whiteouts in our area bringing joy to some and disappointment to others. This might change by the end of February, as the weather is just as unpredictable as everything else: the economy, gas prices, job security, health narratives and romantic love. Beacons of certainty are hard to come by. No matter what change affects us in the short run or long run, how we relate to it always gives us the option to look at things with an open mind and heart. So I say let’s choose love, reigniting the embers of the smoldering fire within us, being kind to ourselves, loving others with all their differences and diversity. We are hard wired to be kind, and we long for connection and intimate affection. We are born with a strong biological predisposition for caring. Positive emotions like love, joy and playfulness are beneficial to our health and strengthen our immune system because our well being depends on our inner happiness, not just on external things. Our usual menu of worries, frustrations, hopes and fears keep us focused on petty concerns. Selflessness, kind wishes and altruistic acts, large or small are antidotes to loneliness. 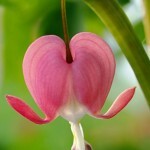 When we offer non-biased compassion and realize our shared humanity, we too benefit from feeling love and contentment. Pierre Zimmerman is Director of One Big Roof, Center for Mindful Practices and teaches in our Saratoga Stress Reduction Program. We have so much gratitude for having had the opportunity to share our spiritual path with you, and we hope that you begin this year with the intention to go deeper into your spiritual life and explore the possibilities that lie before you. That intention can be energized by developing a mindset that focuses on growth and change rather than avoidance and complacency. 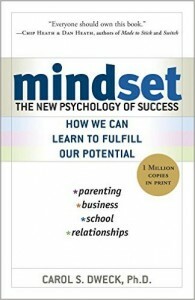 We have been working with an amazing book, Mindset, by Carol S. Dweck, PhD, that we highly recommend. It provides a perspective and clarity that can help usher in accelerated growth, personal evolution and revolution. The research presented in Mindset documents the effectiveness of a growth state of mind, among many other things. According to this theory, we all come from either a growth mindset or a fixed mindset. A growth mindset leads to exploration, creativity and change, while a fixed mindset keeps us where we are. The theory presented in this book has illuminated the struggle we all face to make changes on a mind, body, or spiritual level. We hope that you choose a mindset that is grounded in spirit and allows you to share your beautiful gifts with a world that sorely needs them. Janet Orzano & James Orzano are Reiki Master Practitioners at One Roof and Reiki Teachers. James also offers Intuitive Readings, which explore self-awareness and discovery. In the face of hate, ignorance and cruelty we can build stronger communities of service and compassion with small acts of kindness toward each other, realizing how precious this rare life of ours is. We can see the gifts and skills of people, rather than their shortcomings; experience more spaciousness in our views of others; let go of solid opinions and sense the inherent goodness that lies at the heart of our diverse circles of being. We can give fearlessness by eliminating our habitual, unwholesome thoughts and planting seeds of kindness, looking upon others with soft eyes and suspending hateful narratives and judgments. “On Gifting” by Pierre Zimmerman, M.S. To privately delight in your own way during this month of gifting, try offering the free gifts of patience, presence (without multi-tasking), unconditional love (by dropping agendas) and spending time in the community of family and friends, as well as people in need. Indra, king of the gods, once asked his royal architect to create an appropriate monument to his greatness. The architect created an immense net that extended through space and time. At each point of the net that the threads crossed, a priceless jewel was placed. The jewels were infinite in number. If we were to arbitrarily select one of the jewels for inspection and look at it closely, we would discover that it is polished. Every surface reflects all the other jewels, infinite in number, in the net. Not only that, but each of the jewels reflected in this one jewel is also reflecting all the other jewels, so that the process of reflection is infinite. Indra’s Net is the infinitely repeated interrelationship among all the phenomena of the universe. As every jewel is intimately related with all other jewels, a change in one jewel means another change, however slight, in every other jewel. This is the story of interdependence.